As part of Blizzard’s ongoing lunar new year celebrations, Overwatch Korea’s dev team has revealed three more skins. 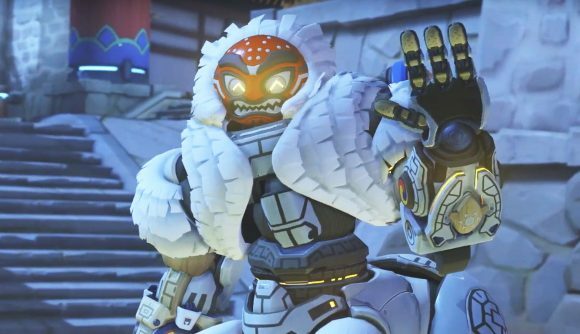 Tracer, Orisa, and Brigitte’s new looks were all shown off in the latest video, which celebrates the game’s upcoming Year of the Pig event. Technical artist Lee Hak-sung and senior artist Im Hong-chan were discussing the three skins, which follow up the rest of the latest skin lines in their use of traditional Chinese costume. Tracer looks particularly dapper in her new waistcoat, while Orisa’s looking pretty dapper behind her ceremonial mask. Brigitte rounds out the trio with a heavily-armoured look, completed with a Hunnic helmet. These three are, of course, not the only characters to be getting skins ahead of the new year. Lu Bu Reaper, Huang Zhong Hanzo, Guan Yu Reinhardt, and Zhang Fei Torbjorn have all been shown off already. Surprisingly absent so far, however, is Roadhog – despite the obvious tie-in between Overwatch’s favourite pig and this particular year of the zodiac (as well as multiple fan requests), he’s yet to get a new skin. While I’m here, it’s as good an opportunity to state that our resident Total War obsessive Rich has noted the link between some of these new year skins and the famous generals who are set to appear in the upcoming Total War: Three Kingdoms. With my obligation to my boss fulfilled, let’s move on. You can check out the video below. I’m not able to translate it, and sadly there are no subtitles available, but you can still get a closer look at those three skins. The Lunar New Year isn’t actually until February 5, but Overwatch’s event kicks off tomorrow, January 24, and will run through February 8. It’s not clear whether we’ll see a new mode or challenges, but we’ll find out very soon.